The latest boating accessories and new tackle for the 2019 fishing season are starting to show up on store shelves now. In this issue of Geared Up, we highlight some new outriggers, footwear, knives and more to keep your lines tight this season. Read on for more info. 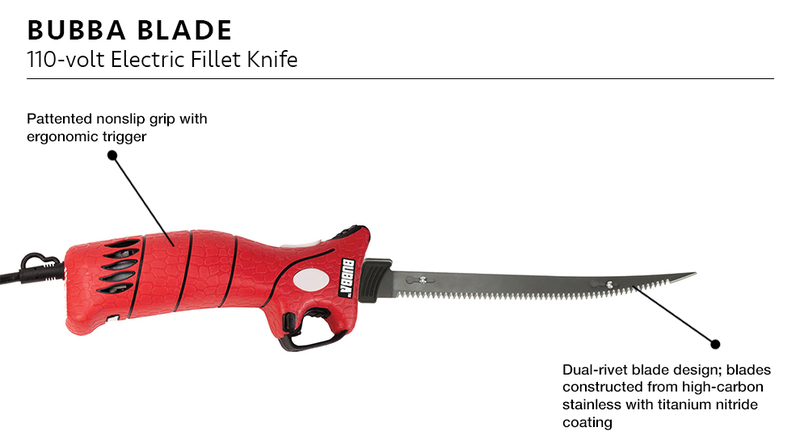 Bubba Blade introduced an electric knife to make quick work of any fish, from bluegill to bluefin tuna. The knife features Bubba's well-known nonslip grip and comes with 7-inch and 9-inch flex blades as well as stiff blades of nine and 12 inches. The blades quickly pop in and out for easy changing and cleaning. The knife comes with an 8-foot cord and a handy all-weather carrying case. $125 Bubbablade.com. 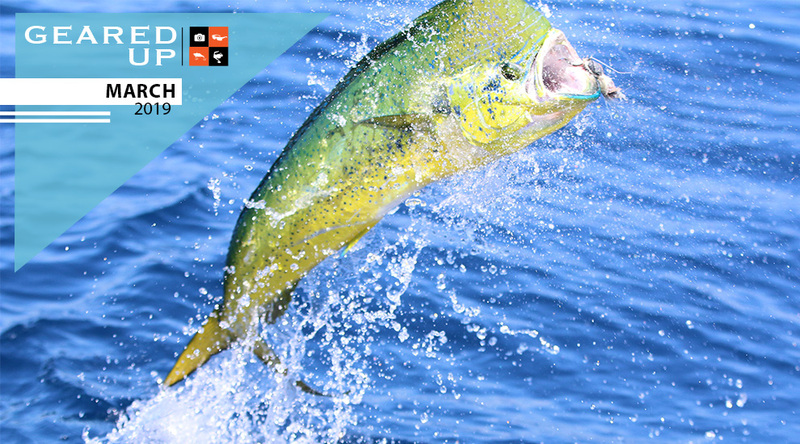 Named after one of the toughest sea creatures you can battle on rod and reel, Costa's new Broadbill lives up to its namesake and is constructed to battle the elements and meet the needs of anglers. The new frames will stay in place all day with a large wrap style that features nonslip nose pads that are ventilated to let out perspiration. 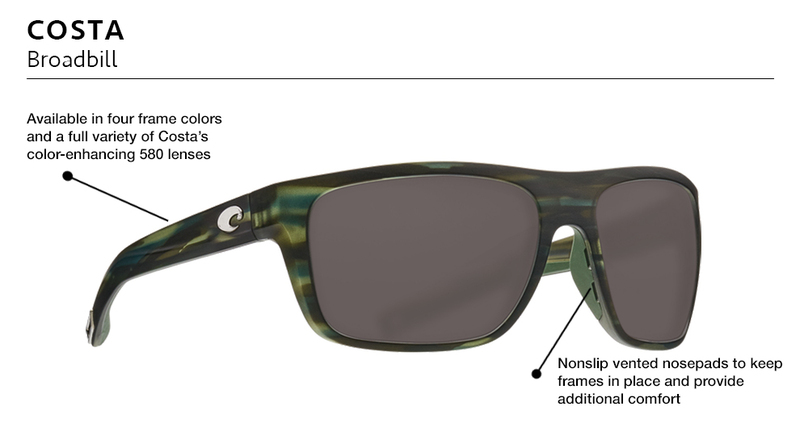 Available with the full array of 580 lens choices. $189-$269. Costadelmar.com. 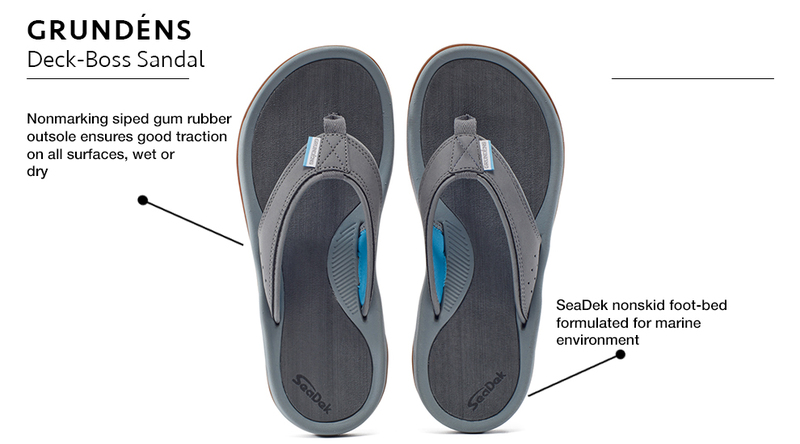 Grundéns has teamed up with the makers of SeaDek to create a new line of sandals that provide the same anti-slip, soft, cushioning material you get from installing SeaDek on your boat, but this time it's on the footbed of a sandal. With the slip-resistant, non-marking soles and anatomically designed footbed, you will be fishing in comfort all day long and you won't be sliding around. Available in three colors. $60. Grundéns.com. 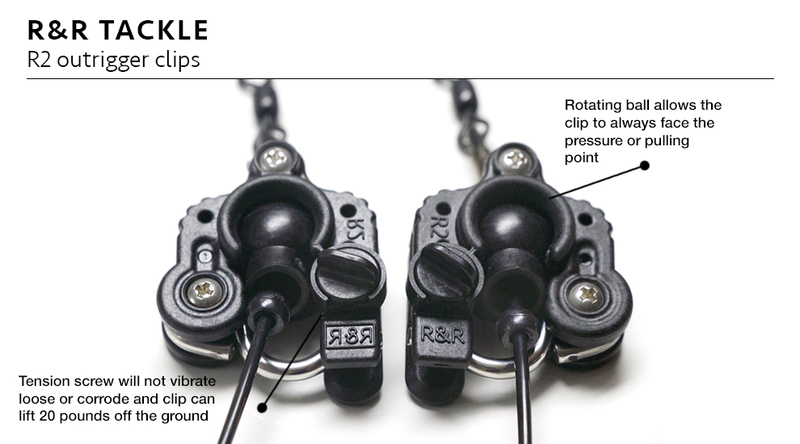 The R&R outrigger clips are super versatile because of the precise amount of drag you can impart using the tension screws which are made from a high-grade polymer that won't break down. Each pair of clips is mirrored so you have a clip specifically for port and one for starboard. Clips feature heavy-gauge release wire and can be used for trolling lures, kite fishing and down riggers. $42. RandRtackle.com. If you've had a suction-cup holder fail on you, it wasn't a SeaSucker. 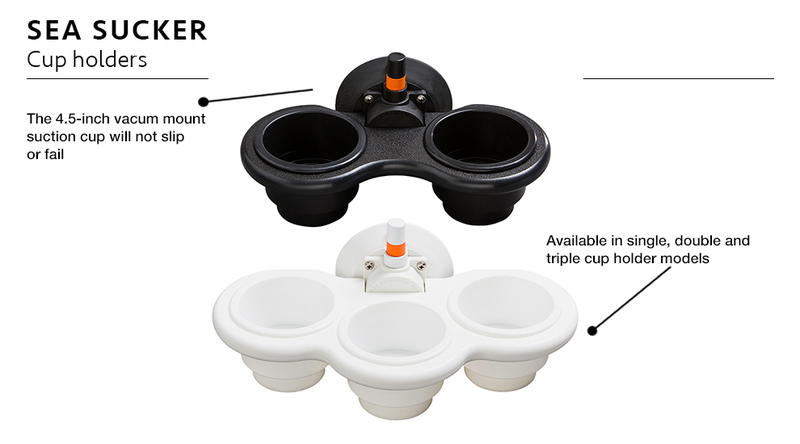 These cup holders will stick to any smooth surface so you can easily move them around and the innovative vacuum pump on the suction cup is incredibly strong with up to 120 pounds of force. You won't have to worry about this cup holder falling down. You can also swap out a cup insert with the company's small dry box to protect your phone. $60-$88. Seasucker.com. 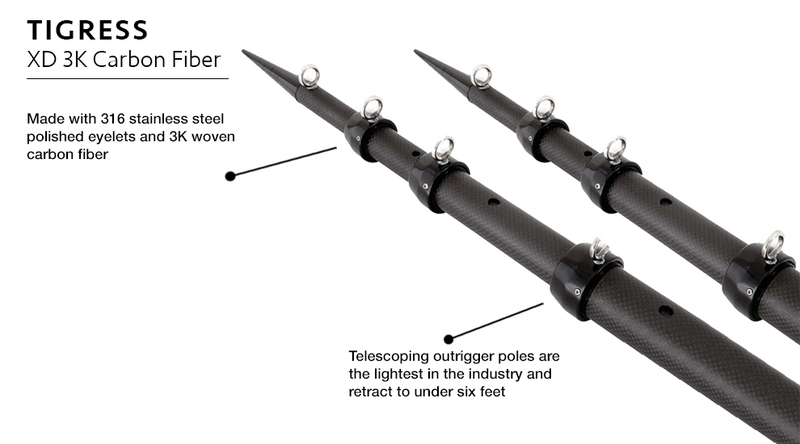 The Tigress carbon fiber telescoping outrigger poles fit boats up to 40 feet and are the lightest outriggers on the market. Custom fitted with Tigress Track, a patented internal tracking system for increased tube strength and alignment. Comes with a heavy-duty mesh storage bag so you can easily remove them and safely store them when not in use. Two color options available, matte black with silver eyelets or matte black with black eyelets. Tigressoutriggers.com.